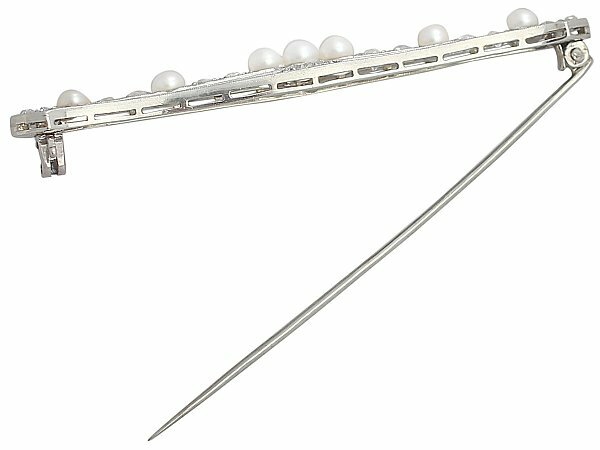 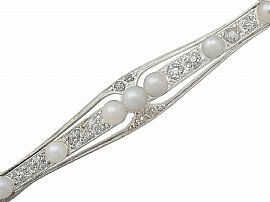 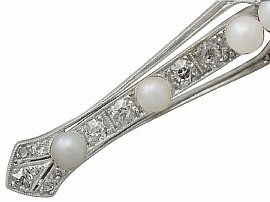 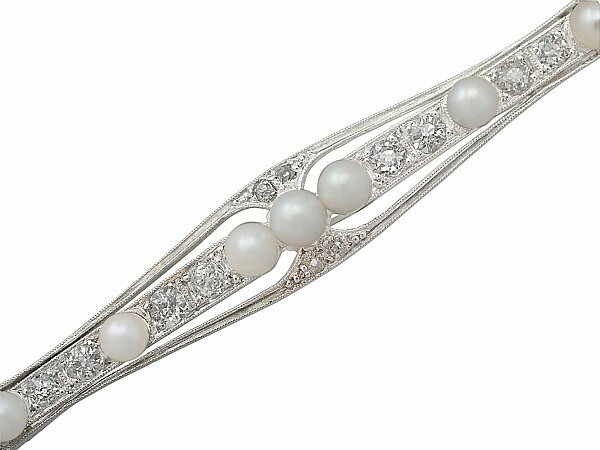 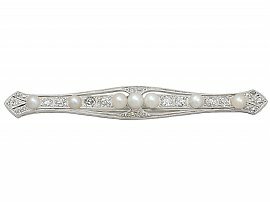 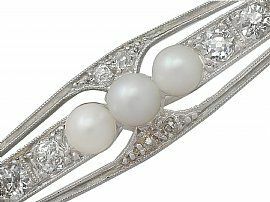 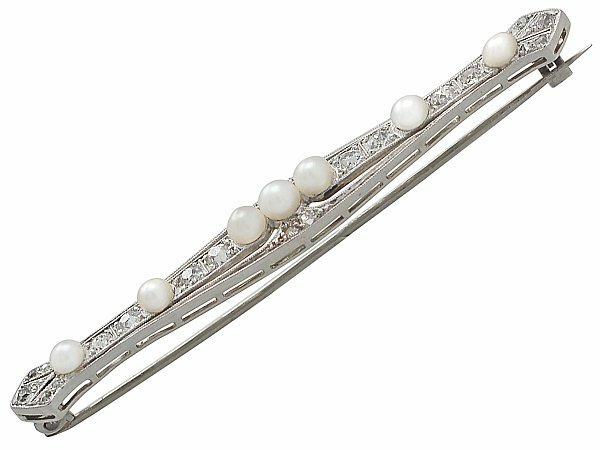 This fine Edwardian bar brooch has been crafted in platinum. 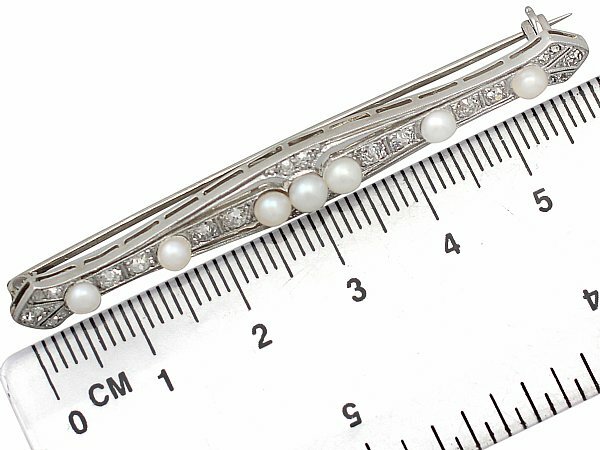 The pierced decorated frame has a symmetrical form, ornamented with a total of seven pearls. 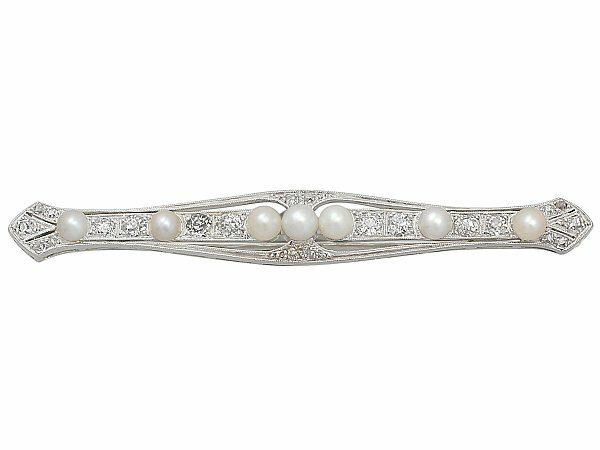 The Edwardian brooch is further embellished with eight feature millegrain set Old European cut diamonds and fourteen smaller Old European cut diamonds set to the border and terminals. This brooch is supplied with an independent diamond grading card. This Edwardian bar brooch has been independently tested using state of the art technology (Niton XL2 Analyzer) and verified as platinum. 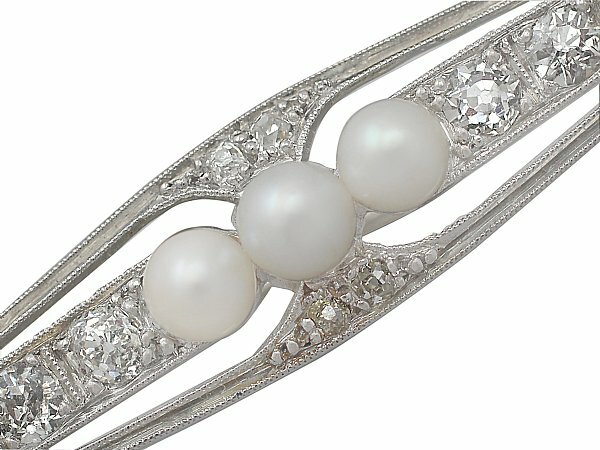 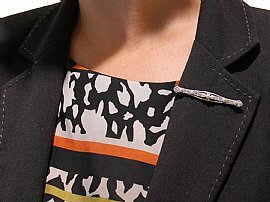 This antique platinum brooch is fine quality, set with very high colour graded, old cut diamonds.